If you are considering generating solar or wind power at your home, farm, or business, be sure to contact Howell-Oregon Electric Cooperative before having a system installed. 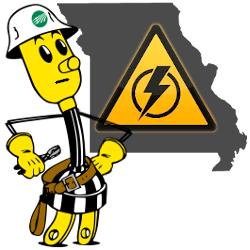 Electrical safety and proper metering and installation are vital. A Co-Generation Agreement must be completed and approved before you connect any generating devices to a location being served power by the HOEC electrical system. Click the link below to view and print the HOEC Co-Generation Agreement.